Niagara Falls is a beautiful place to visit. Matter of fact, it's one of the most visited honeymoon destinations in the United States. 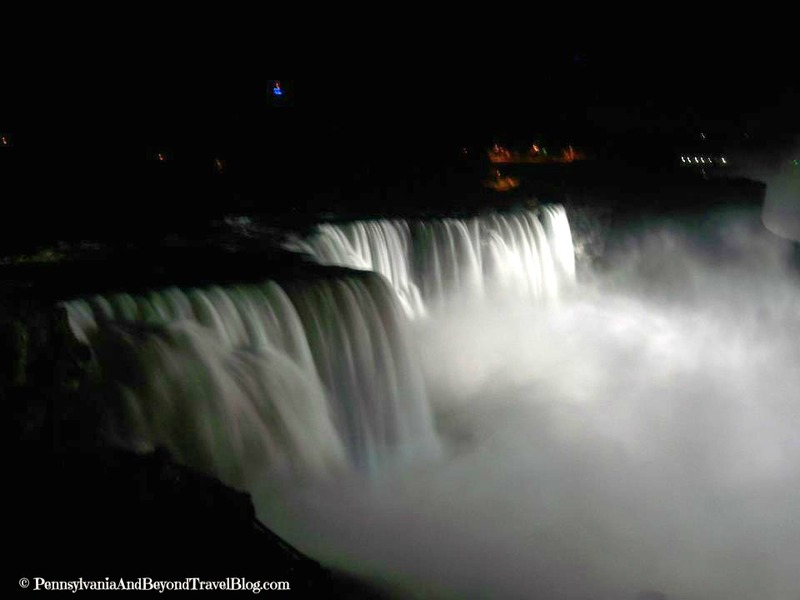 If you have never visited the falls it shares a border with the United States and Canada. Some people will tell you that the Canadian side is prettier than the New York side but I completely disagree with that. Over the next few weeks I will be sharing some photos and tips with all of you from our recent trip to Niagara Falls. With that said, I wanted to share these four photos with all of you as part of my "Travel Photos of the Week" segment here on our blog. 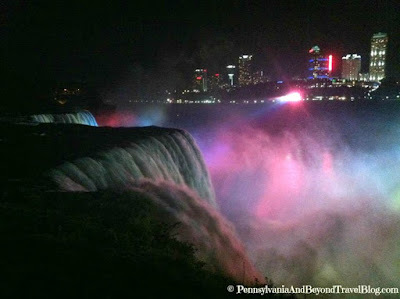 The falls are really beautiful to see during the daytime but my personal favorite time to see them is at night. 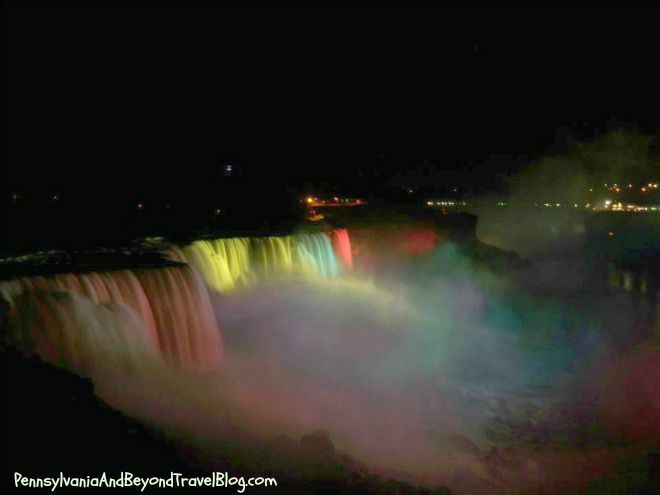 I love seeing the display of colored lights and if you are there at just the right time...you can see some gorgeous fireworks over the falls. It's really magical to see! 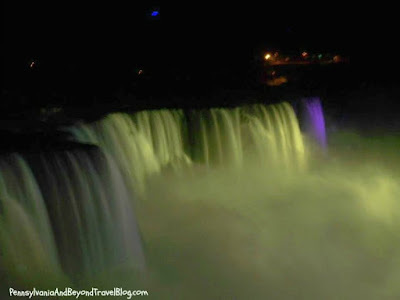 When photographing Niagara Falls at night...you do want to plan ahead. To get decent photos you really should use a professional camera and a special night lens if you have one. If not, you will want to adjust your aperture to let more light in when photographing them at night. Hubby took a few photos with his smartphone and they turned out pretty awful. Second...I took a dry bag with me and when I wasn't holding my camera...it was in a water resistant bag. You will get "mist" coming off the falls...so please protect your electronics! 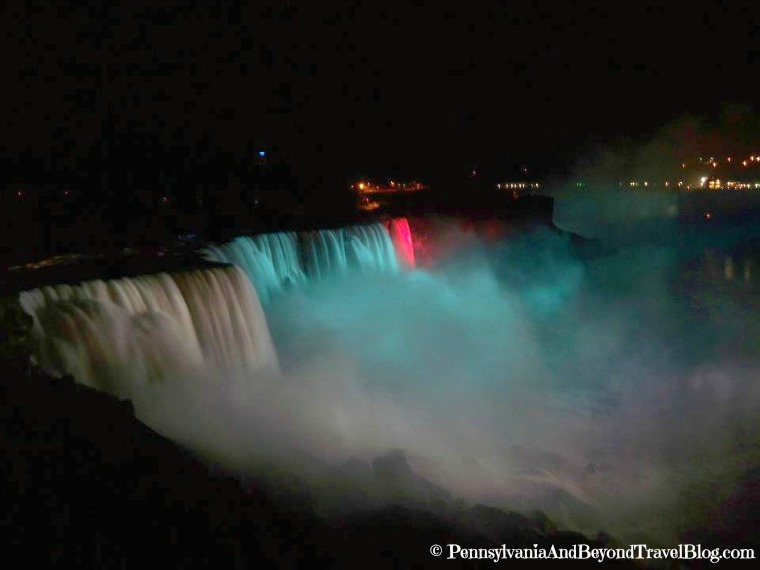 We had a really fabulous time visiting Niagara Falls and will be sharing all kinds of information with our travel blog readers over the coming weeks. Note: You can click on each individual photo in this blog post. It will open in a new window and will automatically enlarge so that you can see all of the beautiful details. Enjoy! I have to been to Niagra Falls in many years and I would love to Revisit it. your photos show how spectacular the falls look at nighttime.